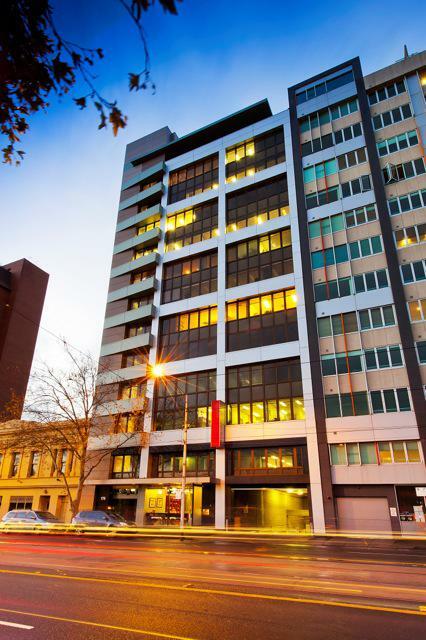 A new 2013 price record for Melbourne’s metropolitan market has been set after a refurbished commercial office building was sold for more than $22 million by Colliers International. The 12-level, 6,382sqm building at 176 Wellington Parade in East Melbourne has been purchased for $22.7 million by established local syndicator Vantage Property, representing an 8.8 per cent yield on its fully net leased income. Colliers International’s Jeremy Gruzewski and Peter Bremner negotiated the deal at a rate of $3,557 per sqm. Mr Gruzewski said the sale represented the highest dollar value for Melbourne’s metropolitan market to date in 2013. “This property offered a superb commercial property on the city fringe with a diverse lease expiry profile, in an outstanding location that was equally appealing for commercial and residential purposes,” he said. “The sales campaign generated an outstanding amount of interest, with more than 80 enquiries received and 10 formal offers received. “This is unprecedented competition not witnessed over the last 12 months for metropolitan office assets. The building recently underwent a significant refurbishment, including new carpets, showers and office fit-outs, and a successful leasing campaign, which has taken it to 95 per cent occupied. There are 15 tenants and two rooftop licenses in place. The property also includes a double basement and on-grade parking for 88 cars. The typical floor plate size is just under 600sqm and the estimated fully let net income is approximately $2 million per annum. Separated from the CBD by only the Hilton Hotel site and Fitzroy Gardens, Mr Bremner said the building represented the best in city fringe office space, making it highly sought-after. The property is well serviced by public transport, with trams stopping directly outside the front door and the Jolimont train station across the road. Richmond train station and Bridge Road are also within walking distance. “This is a high-profile building in a world class location, with uninterrupted views of the MCG and Melbourne CBD skyline that can never be built out,” Mr Bremner said. “The property enjoys the dual benefits of being on the doorstep of the CBD but also with easy access to the outer suburbs. The building, almost fully leased to a diverse mix of tenants, was sold on behalf of receivers and managers Nicholas Martin and Tony Sims of PPB Advisory. The receivers were appointed in April 2012, implementing an intensive property improvement program in conjunction with PPB Advisory’s property team.